E-book provided by publisher for blog tour. Micah and Alicia are excited to meet John Taylor as a child in England. But when their phone won't let them return to their own time, the'll follow the prophet around the world, learning some important lessons along the way. Humorous, entertaining, and informative, this book is a wonderful introduction to church history that's bound to be a family favorite! My grandmother lived with us when I was young. She loved to read me stories. I would curl up in her lap or sit on the bed next to her and listen to the tales spin out before me. We cried together over Lassie Come Home and loved Madeline and her adventures. That was a magical time for me in my life. When my children were little, I loved reading to them because it kept the magic alive. Now my children are grown, I can keep the magic by writing stories for others to read. I love to read and write stories about the pioneer prophets. Pioneers live all over the world. I still have family in Switzerland and Poland. Where do you and your ancestors come from? Write and tell me. Pioneer games—button, button, who's got the button? How are you a pioneer? When I was about four I fell into a swift-moving canal that ran in front of our house. My dog Mo ran along the bank barking wildly. The cold water snatched me and swirled me around. I felt very scared. I paddled hard toward the side and grabbed a tree branch sticking out in the water. Soon my mother came and pulled me out. I lay on the bank, out of breath and dripping wet—my heart still pounding. I hugged my dog, Mo, thanking him for calling 'help' with his barks. When we lived in California, our young son had two good friends who lived next door. One day the boys were playing with matches at the neighbor's house and accidentally lit a palm tree on fire. The fire truck came to put the blaze out; and afterwards, the fire chief gave the boys a stern talking-to. They were scared enough they never lit fires again. As a little girl, I used to watch my mother put cream on her face each night before she went to bed. It looked smooth and smeary so I decided to try it myself. I hid behind the bedroom door and covered my face with the silky cream. That was so much fun, I decided to make a picture with it on the wall and the floor. By the time my mother found me, everything around me was a mess. We have a summer home in the Tetons of Idaho with a stream running behind the house filled with watercress. One day our daughters and their cousin decided to have a watercress fight. Pulling the wet, muddy plants up from the creek and slinging them at each other was great fun. When they came out of the water dripping with green and covered in mud, they looked like creatures from outer space. When our grandson was little, he loved his shadow. He watched it everywhere he went—when walking, swinging and riding his bike. One day he was so busy looking at his shadow, he crashed his bike into a wall. Good thing he had his helmet on! I love popsicle parties in the back yard. When I was little, we had two apricot trees in the back yard. After we ate all the apricots, I loved drying the pits and cracking them open to eat the nuts inside. They taste kind of like almonds. I love picking apples in Michigan and watching the big presses crush the apples into cider. I love hiking to the Wind Caves in the Tetons of Idaho. In summer, the mountain meadows are full of wild flowers, and the view of the valley below is breath-taking. The last part of the trail is very steep and brings you to a gaping, jagged cavity in the cliff with a small hole in the bottom where wind whistles out. You can crawl inside the hole to find several caves. They are small, but wind is always blowing from them—probably because there is a hole in the top of the cliff where the air comes in. Our family, like a flock of birds, has roosted in lots of areas in the United States. These are some of the things I love about the places I've lived: a quiet snow storm in Utah, the tall stately mountains of Idaho, the sandy warm beaches of California, the beauty of the desert in Nevada, the rolling hills of Tennessee, the bustling cities of Maryland, the lush green countryside of Michigan and the misty splendor of Oregon. What scary things have happened to you? Can you write a story about them? List the humorous experiences you've had and make them into a funny tale. Write about your happy memories. You'll love to read them later. A second Texting Through Time book is here, John Taylor and The Mystery Puzzle. It's a fast-paced quick read--fun for kids and the entire family. As Micah and Alicia get to know John Taylor, they find he is faithful, courageous, prayerful, and loving. They must solve a mystery puzzle about his life before they can return home. While hunting for the puzzle pieces, they land in France with a dead phone battery--and Micah is in a dress! What else can go wrong? This was such a fun book to write. I enjoy doing the research. It's a blessing for me to learn about our modern-day prophets. I am honored that Mary Jane Woodger, BYU Faculty and editor of Champion of Liberty, John Taylor, has written a forward for my book. 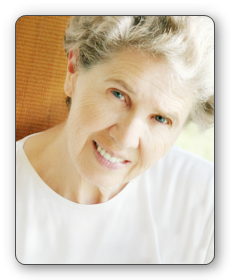 Maureen Smith, International President of the Daughter's of the Utah Pioneers has endorsed the book. And Mathew Buckley, author of Chickens in the Headlights, and Bullies in the Headlights has given it a thumbs-up. If you like contests, be sure to join the book blast on November 13th. Order a book from Amazon and leave me a message on one of the following sites to win a $25.00 Amazon Gift Certificate. My book launch will be at the Ogden Temple Deseret Book Store on Friday, November 23rd from 2 - 3:30 pm. Join the fun. Come for refreshments and a fun signing. Check the websites for other scheduled signings. 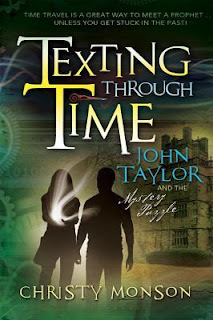 I enjoyed this light read about Micah and Alicia traveling through time visiting John Taylor at key moments throughout his life. John Taylor became the third President of the Church of Jesus Christ of Latter-Day Saints (Mormons) and as such inspires great respect and love within the church. But there is much to admire about the man besides his service in the church. He was a man of faith and integrity as Micah and Alicia are privileged to learn personally. I liked the concept of a phone being the time travel portal with the good and bad that comes with technology. When the kids get stranded in France with a dead battery, how will they get home? A light, fun read perfect for middle grade readers. Everyone, remember the Book Blast on November 13th. Buy a book on Amazon and leave a comment on my websites or blog and you're entered into a drawing for a $25.00 gift card. Actually i think it is outstanding post. Thank's a lot for your post. Makr David.